Crown (or caps) is a protective covering that encases the entire tooth surface after restoring it to its original shape and size. 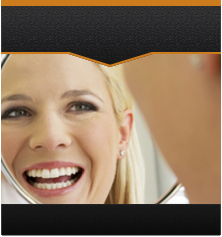 Crowns protect the tooth and strengthen a tooth structure that cannot be restored with fillings or other restorations. Please call Power Ranch Dental at (480) 988- 2282 if you have any further question on what Porcelain crowns are or to see if it is something you would benefit from. We look forward to hearing from you!